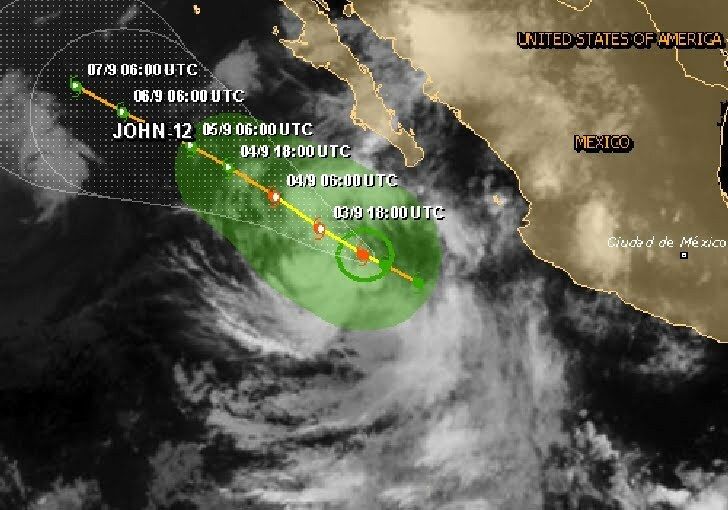 At 2:00hr PDT the center of Tropical Storm John was located near latitude 19.4 north/longitude 111.7 west, about 430 km SSW of the southern tip of Baja California. John is moving toward the northwest near 14 mph - 22 km/h. This general motion accompanied by a decrease in forward speed is expected during the next couple of days.